It is getting to be that time of year. 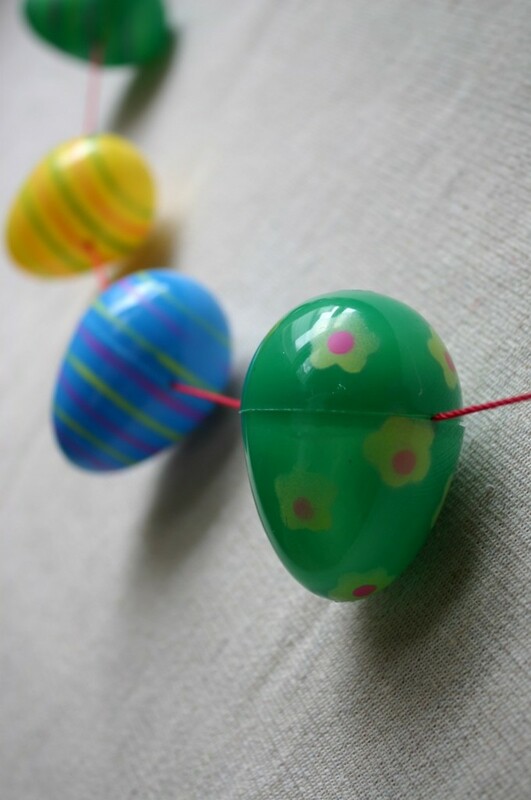 Easter will be here before you know it, so of course I had to round up some tutorials for all my crafty readers and friends. In my opinion, these are some of the best free tutorials out there! You will find all kinds of projects in this round-up such as DIY Easter trees, decorated Easter baskets, garlands, a set of free printables, lots of different decorative Easter eggs and so much more! I am still amazed at how talented people are and I'm particularly grateful that they choose to share their beautiful creations with us including exactly how they made them! I want to say a HUGE THANK YOU to ALL who shared these Easter crafts and tutorials! 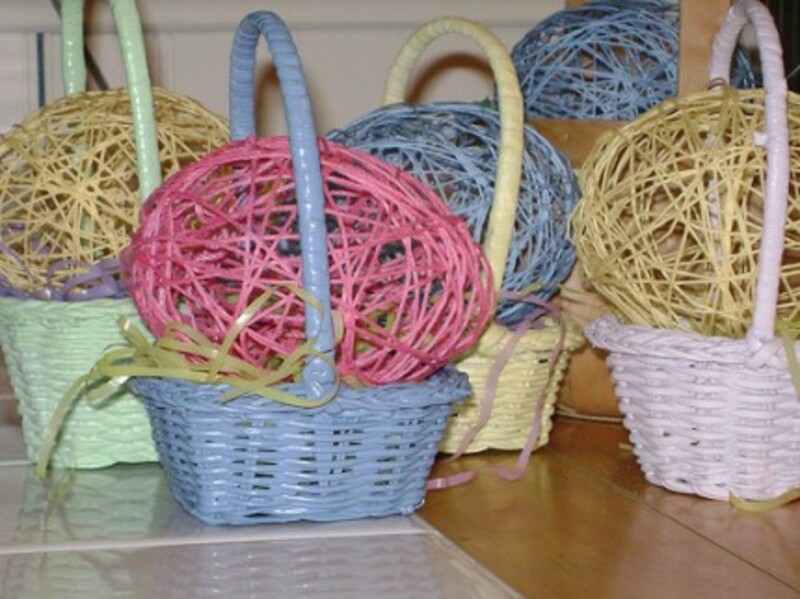 This is one of those crafts that you can save money on by covering old baskets. Baskets like these are a dime a dozen at thrift stores, garage sales and places like that. Maybe you have some old baskets that you would like to put some life back into. I love crafts that use terracotta pots and this one is no exception. With the selection of different scrapbook paper out there, the possibilities are endless with this one. 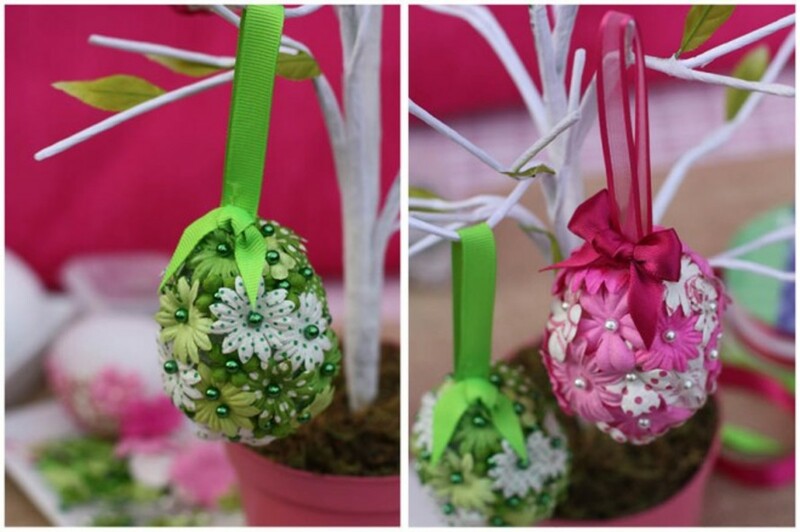 These make such cute Easter decorations. You can use different colors of grass to give each one a different look. I love the little butterfly on the smaller one, too! 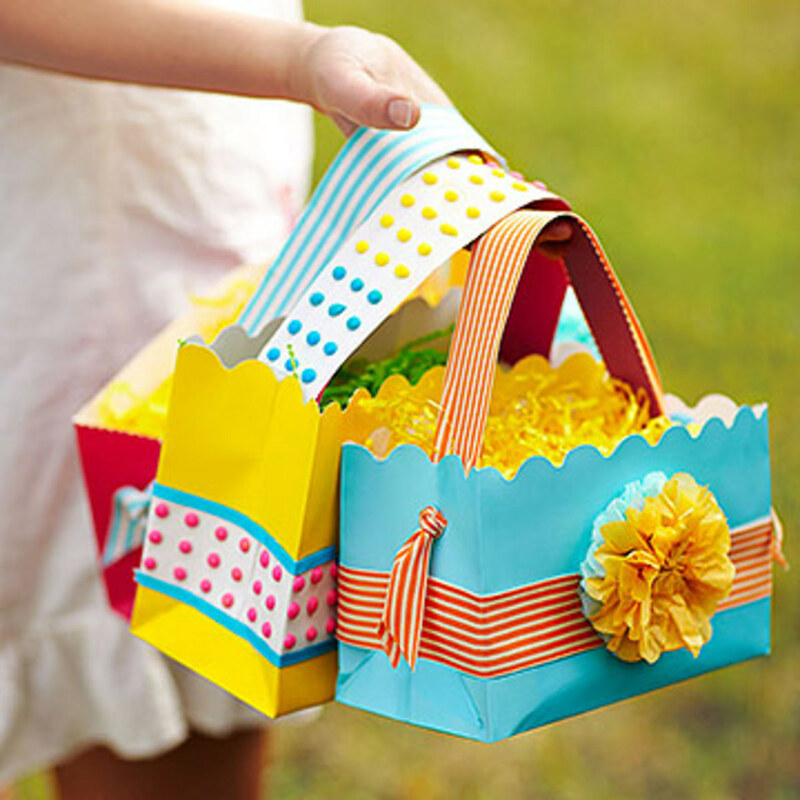 Look at these cute paper "Easter basket" bags. 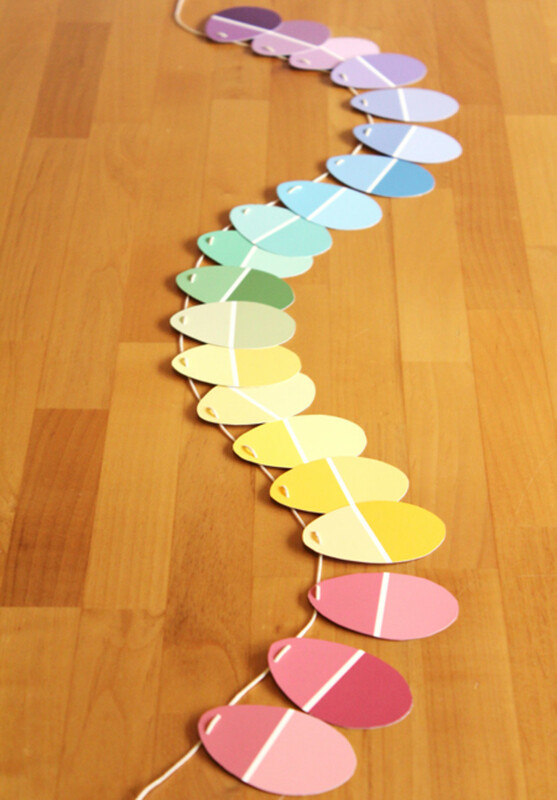 I like this tutorial because the finished product is cute, easy to make and inexpensive. The tutorial calls for a heavy weight shopping bag. I bet that brown paper bags will work just as well, too. This could be a great way to recycle or reuse those brown paper bags. You could make these different sizes, too! Learn how to make these at Parents.com. I like this craft because you can use empty tin cans that you have saved. I love tin can crafts! This looks like a very easy one, too. I bet the kids could even help with this one. Just be sure to file down any sharp edges on the cans. I finally bought a special can opener that opens cans without leaving any sharp edges on the can. It's pretty neat and costs no more than a regular hand held can opener. What do you think of these eggshell votive candles? What could be a more perfect decoration for Easter? Although they may look difficult, they are actually fairly easy to create. I would imagine the hardest part about making these would be getting the hole in the egg just right so you can clean out the egg and add the wax. You could actually just use an egg topper to remove the top of the shell if you wanted to. 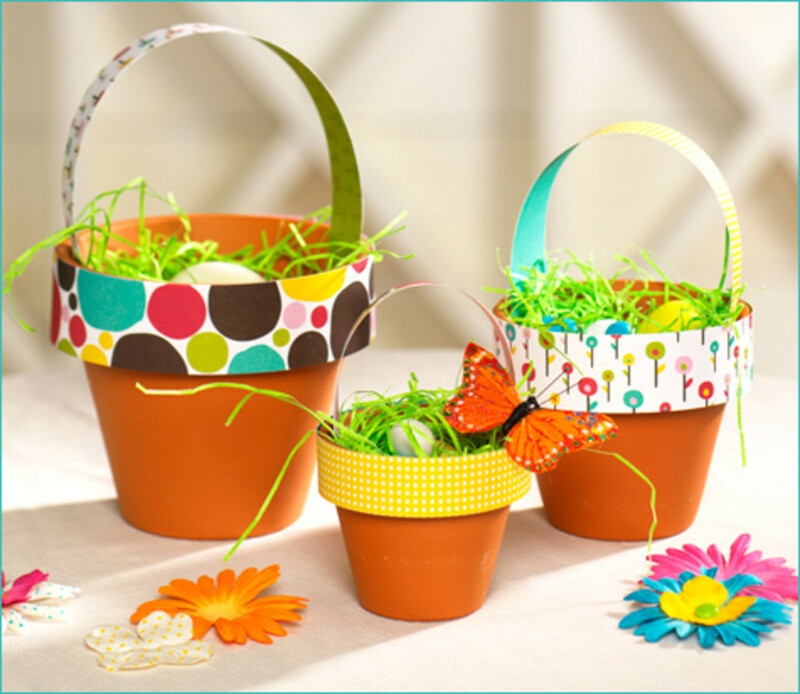 This is another easy and very inexpensive Easter craft. The paint chip samples work perfectly for this! You could cut them out by hand OR find a good egg shaped paper punch and get it done even quicker! How cute is this and look how easy it is to make! 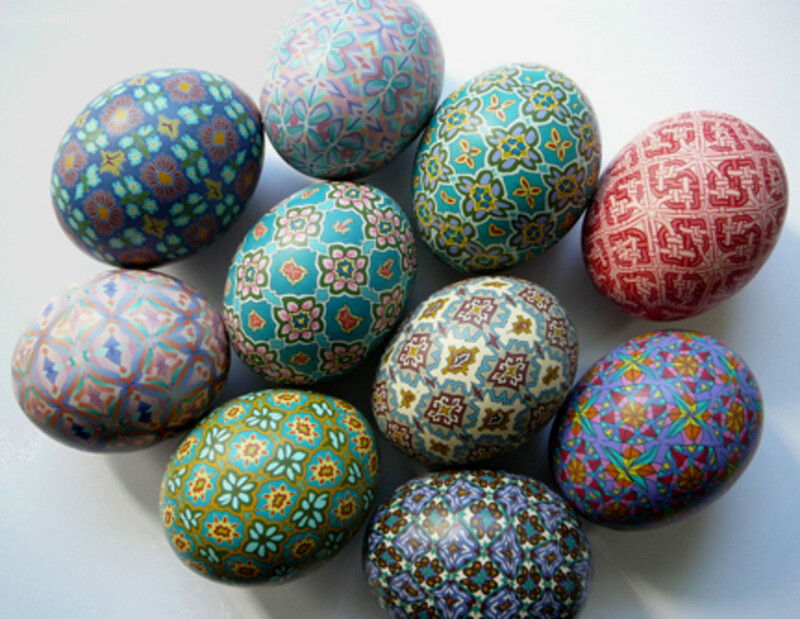 You could buy eggs that already have patterns on them or put your own patterns on them or decorate them with paint markers, sequins, glitter, jewels, paper, fabric, seed beads or whatever you want. 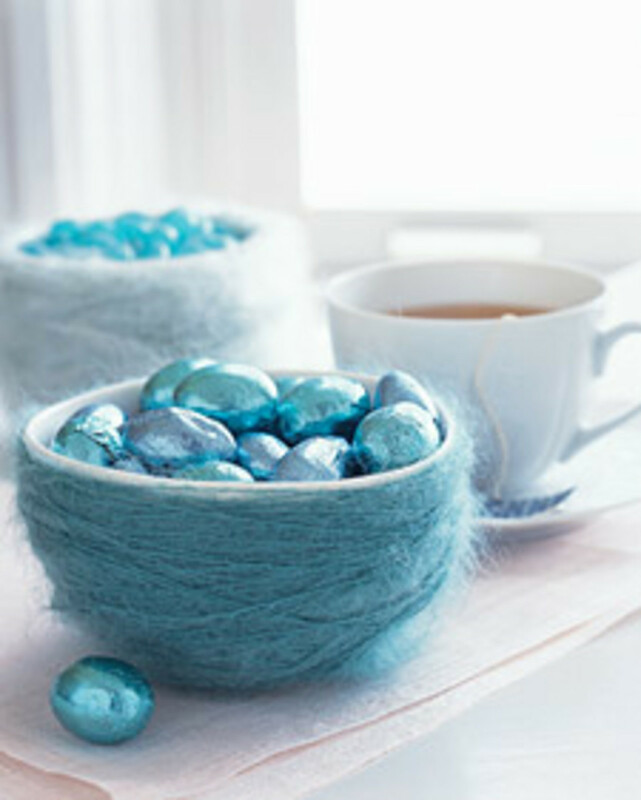 Another idea is to make string eggs(last tutorial in this hub) and make garland out of those! 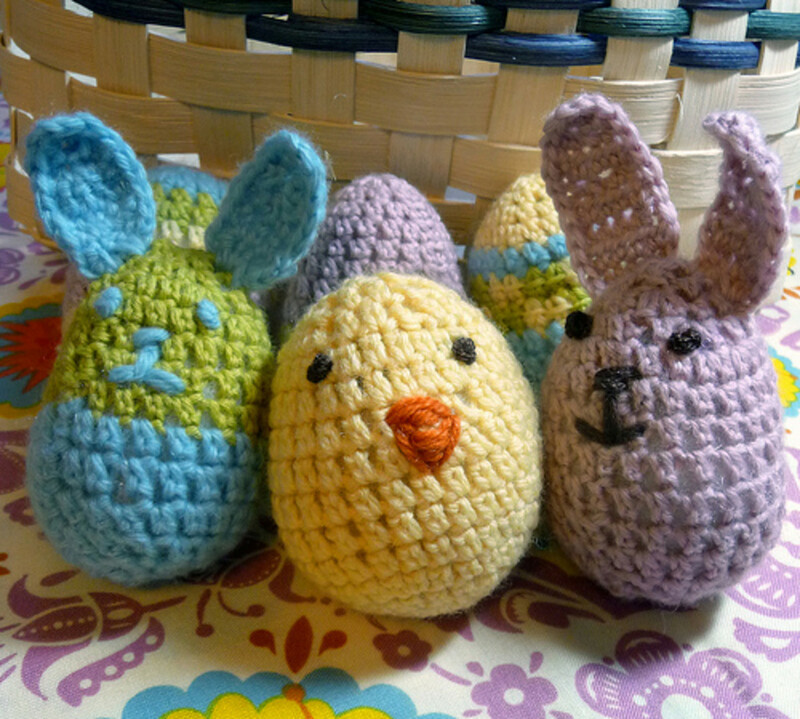 I love these cute crocheted eggs, chicks and bunnies. As small as they are, I bet they do not take long to finish and I bet it's hard to stop once you start making them. I wish that I knew how to crochet more than a single stitch. I would make some and group them together in a basket for Easter décor and maybe hide some of these along with the other eggs we hide for my little boy's annual Easter egg hunt. 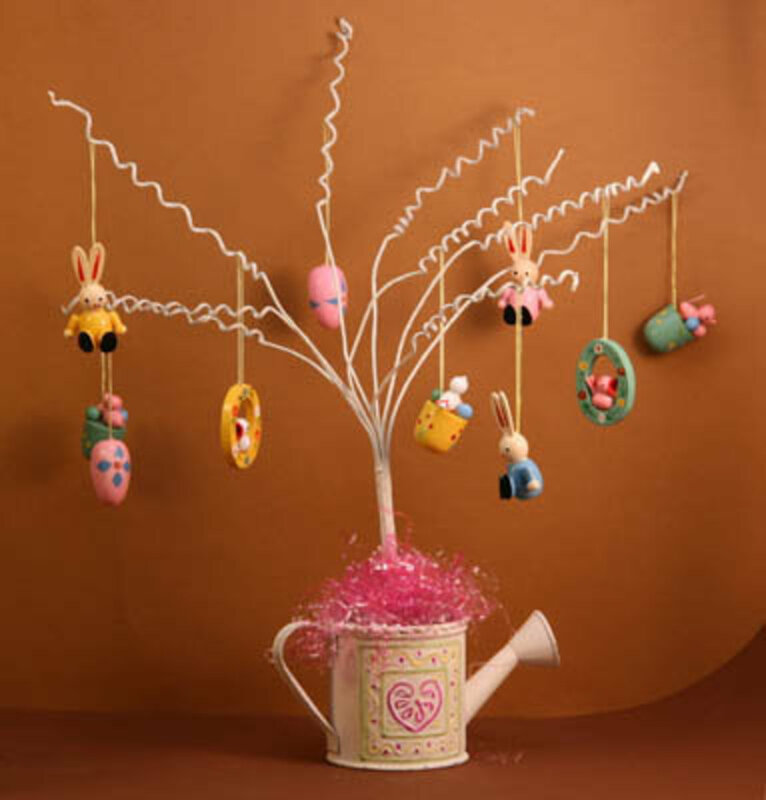 Do you have an Easter tree but nothing to decorate it with? 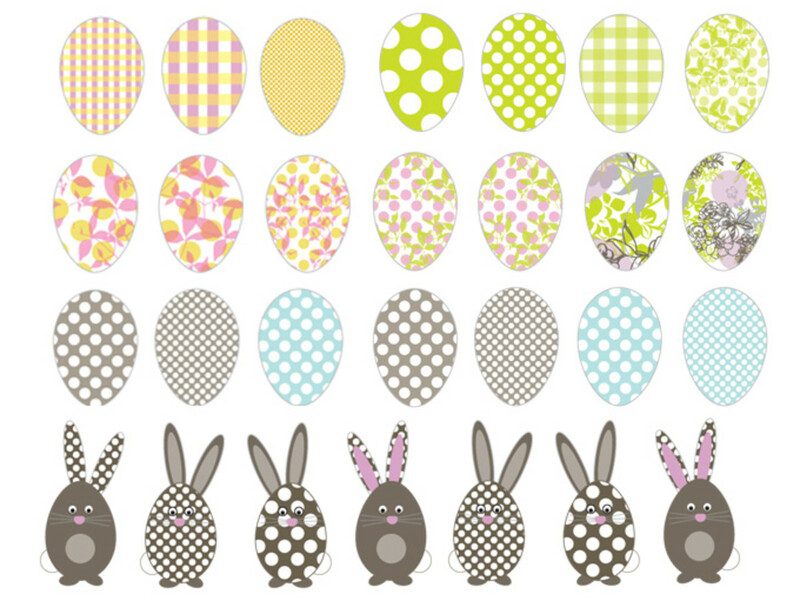 Why not print out these cute patterned eggs and hang them on it or use them to embellish cards or make some paper egg garland... humm.. the possibilities! I recently did a toilet paper craft round-up so when I saw these I couldn't resist sharing! 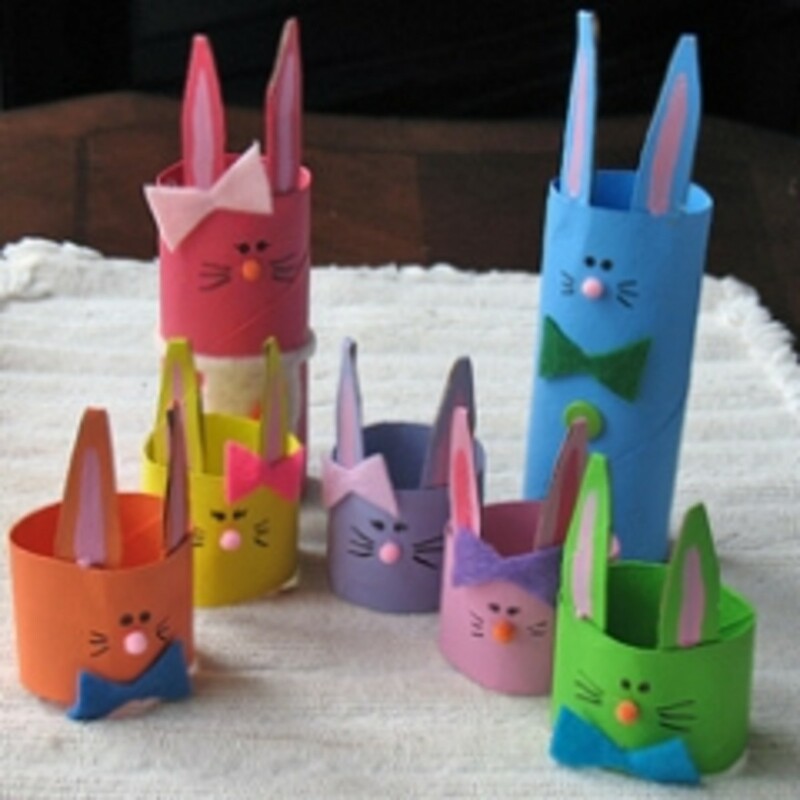 These are cute little bunnies made from toilet paper tubes. This would make a nice kids craft, too but I think I would have just as much fun making them as the kids would! 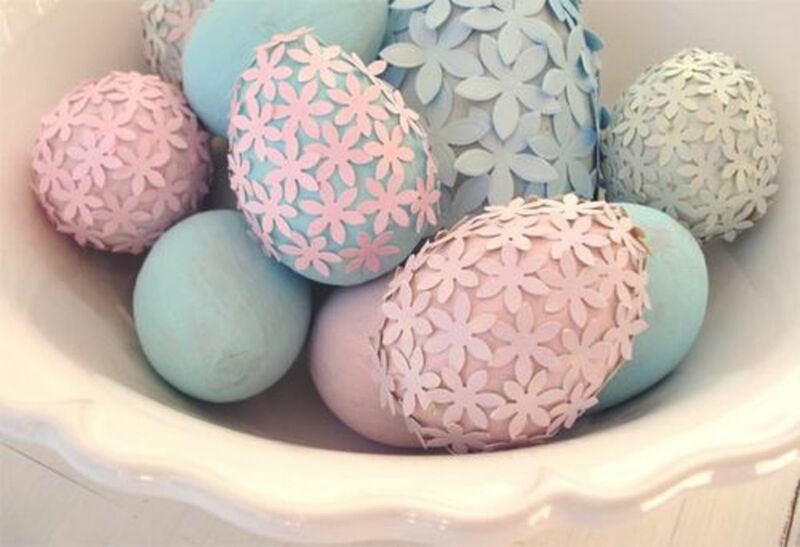 How pretty are these decorative hydrangea covered eggs? I love how they look sitting on top of the candlestick holders. These are easy to make and I bet they turn out lovely every single time. This is about the neatest thing I've ever seen. 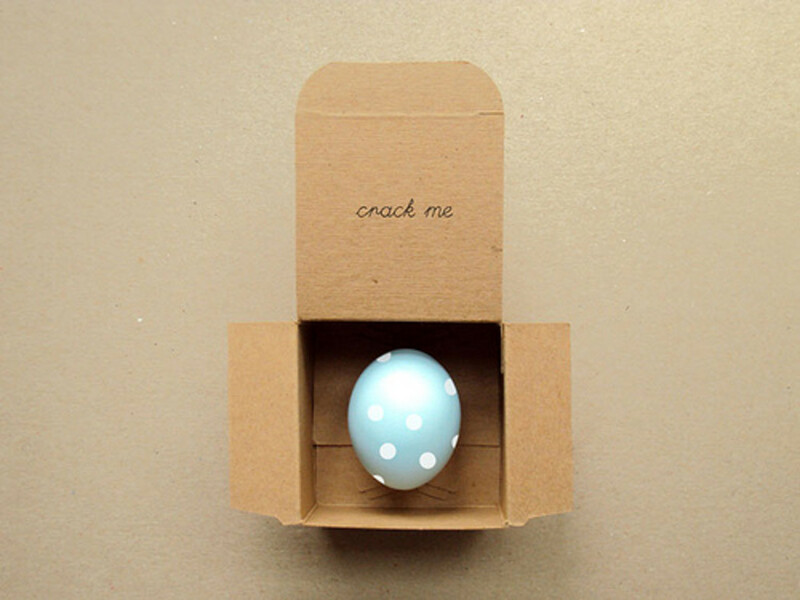 Learn how to take a real egg and put a message inside it so you can give it to a friend so they can crack it and read the message. It's not hard to make really.. you just have to be careful while poking the hole in the eggshell and emptying the contents of the egg. 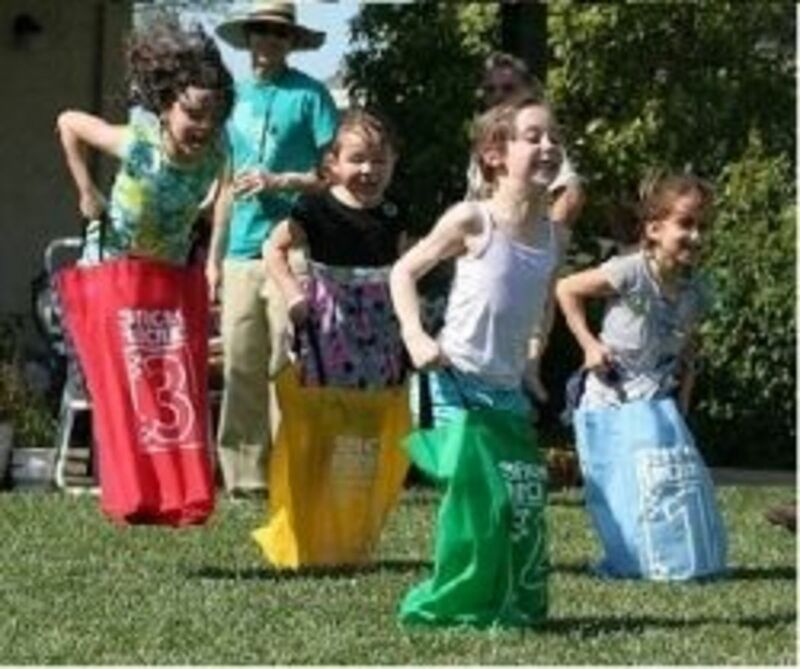 I think I'm going to make one for each of my older kids this year since they are too big for Easter egg hunts now. See the nice, photo illustrated tutorial at Poppytalk. 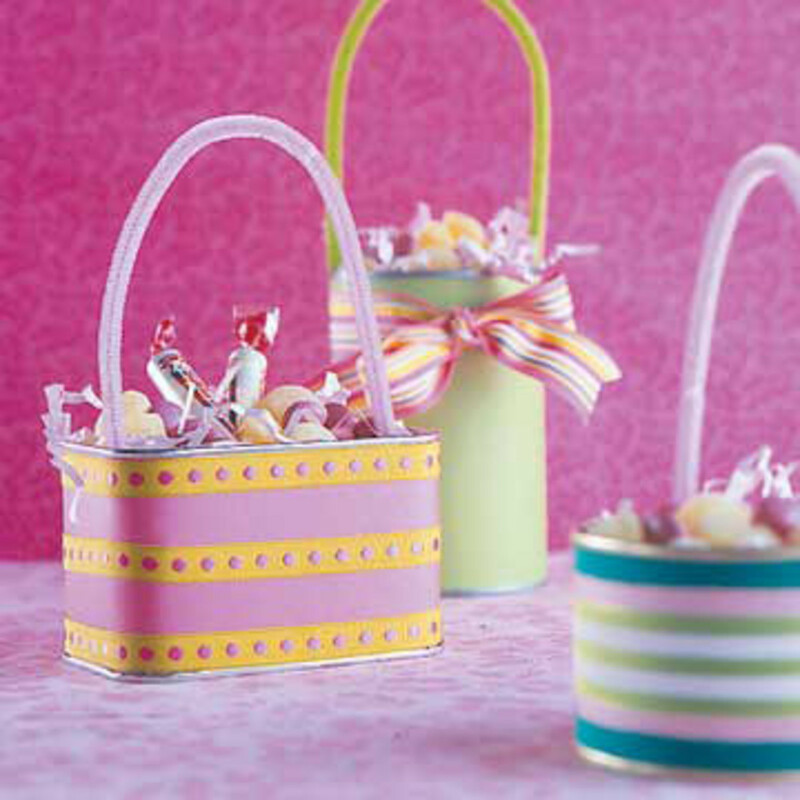 What a cute way to display pretty Easter candy! 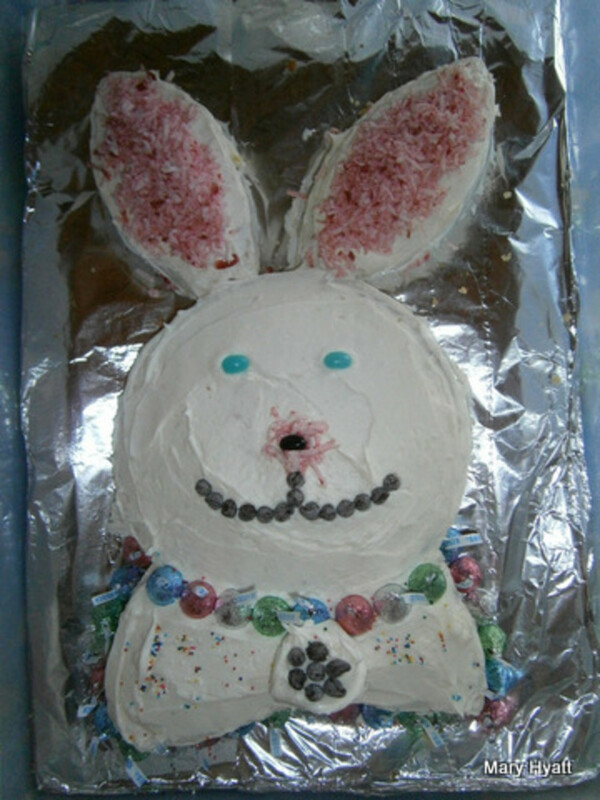 Are you having an Easter party this year? I think these would come in handy for that. This craft is easier than you think.. If you have a bowl, some yarn and double sided tape, you have everything it takes to make at least one but I bet you wouldn't be able to stop at just one. Go to Martha Stewart for this very easy tutorial. There a few different kinds of decorative eggs I am going to share. The first ones here are covered with pretty origami paper. These are actually made with real eggs with the contents emptied out. I think you could probably use plastic eggs as an alternative, if you wanted. See the tutorial at The French Needle. 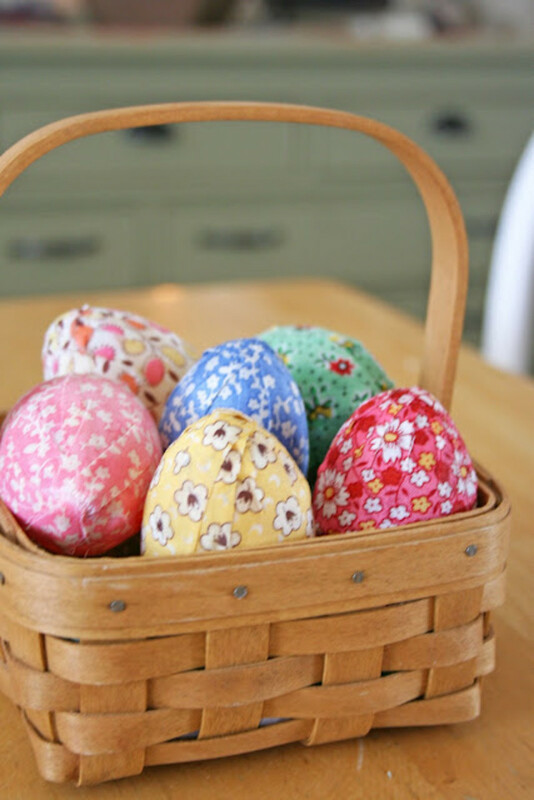 Here are some more covered eggs but instead of paper they are covered using strips of fabric. They are very pretty, too.. These were made using the plastic eggs. Get the tutorial at V and Co. 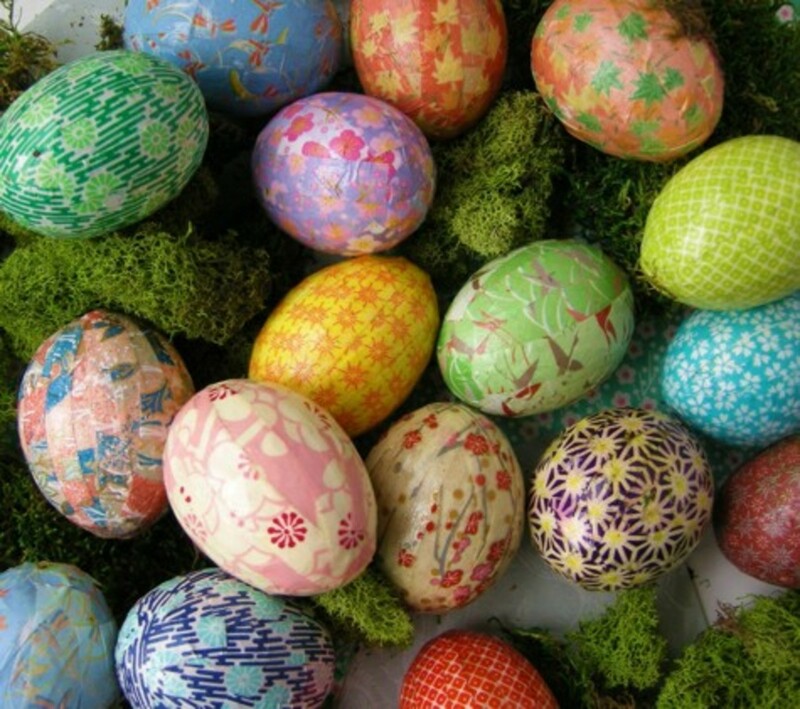 I really like these tissue paper covered eggs, too. Tissue paper comes in all sorts of colors and prints. These were made using polystyrene foam eggs but I'm sure you could substitute plastic eggs if you need to. 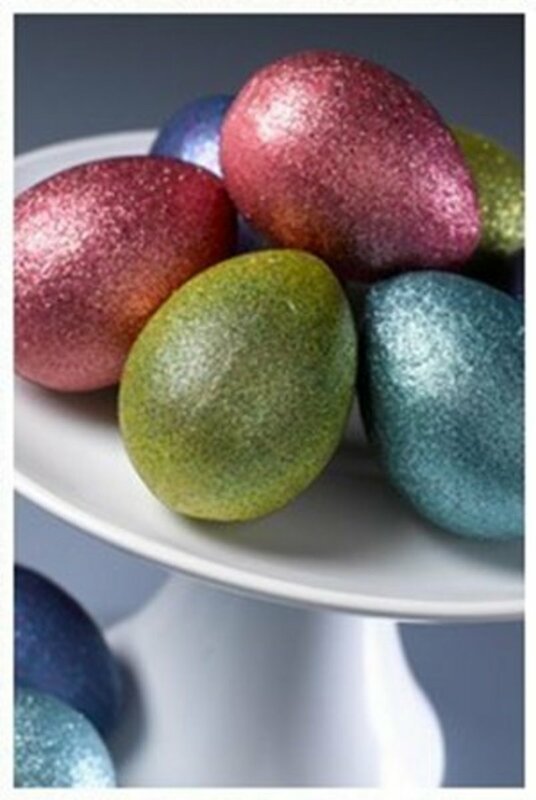 I love these glittery eggs.. I think they are SO pretty and they are definitely on my to do list! These are made using Krylon Glitter Paints but I'm sure you could brush glue on them and roll them around in fine glitter to get the same effect if you don't have the Krylon paint on hand. If you do roll them in loose glitter, I would be sure to spray them with some kind of clear sealer or brush on a thin layer of Mod Podge just to keep the glitter in place. See the Krylon paint tutorial at FaveCrafts. These eggs were covered using round shapes punched out of paper with a paper punch. They are layered on top of each other in a way that kind of reminds me of pine cones....I bet they are so fun to make that once you get started, you don't want to stop. These did not come with a tutorial however, they were so stunning I HAD to share! These were made using cane slices from polymer clay and they are absolutely gorgeous!! I would LOVE to learn how to make these. I've worked with polymer clay before but nothing this detailed and intricate. 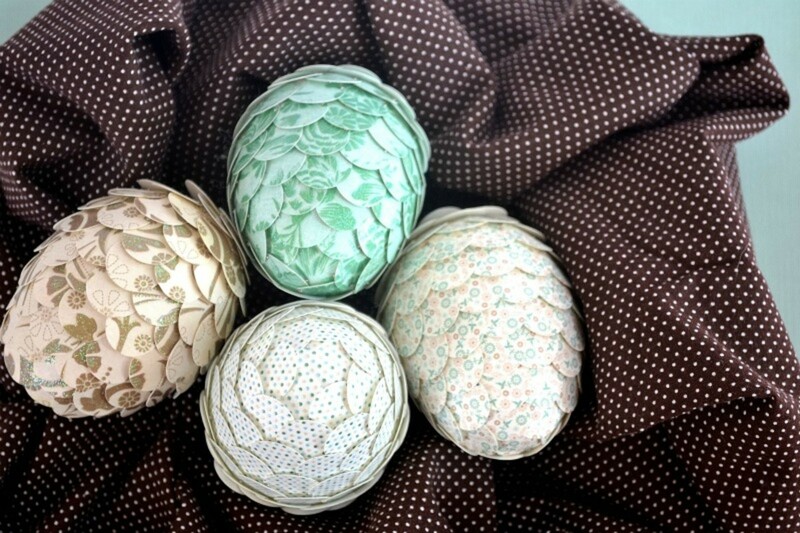 Oh my Goodness, paper punched flower eggs are so pretty! 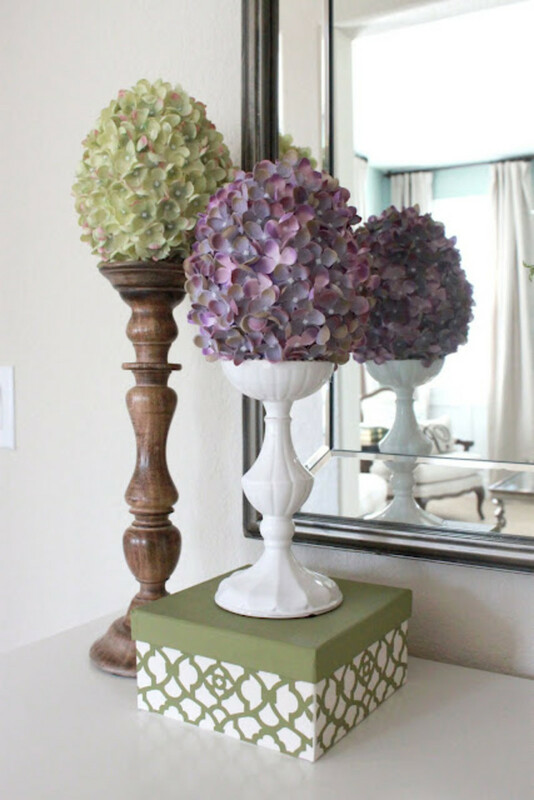 The perfect décor for Easter and Springtime. This tutorial uses those cute flower blooms that lots of people use for scrapbooking or you could use small sized artificial flowers right off the stems and of course you could punch your own flowers out of paper, like the eggs above. I love the little polka dot flowers in the pic! 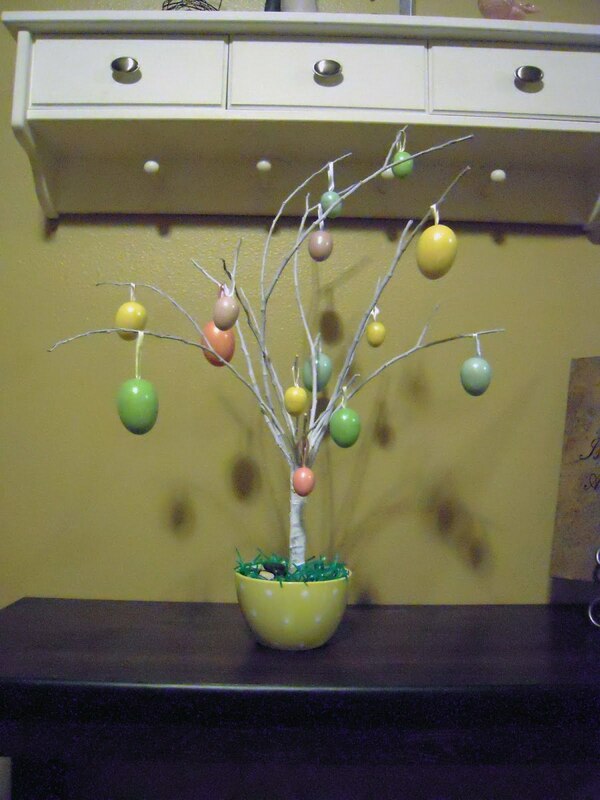 I have been thinking about making my own Easter tree since I lost my last one. I found two and I like them both so much I'm not sure which one to do.. maybe a combo of each. I like the spirally wire stems on this first one and the water can base is cute, too! This one is adorable too and the best thing about this one is it would cost almost nothing to make! I love the cute little polka dot bowl base on this one. It looks like a big cappuccino cup without the handle. 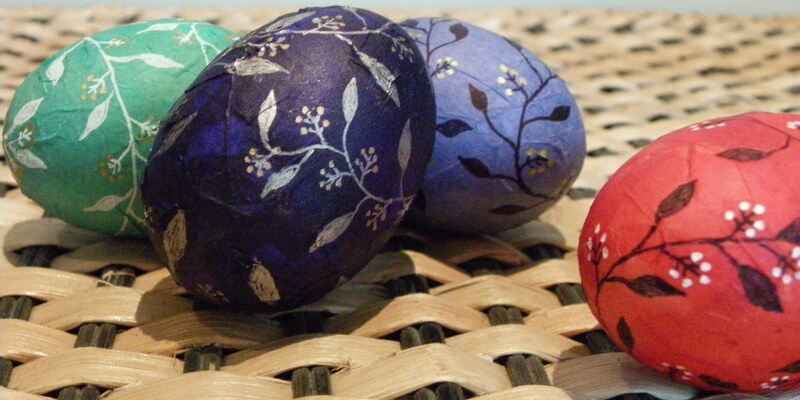 Look at these pretty eggs made out of embroidery thread.. They looks super cute laying in the baskets like that! These are really easy to do and you could substitute the embroidery thread with other types of string, yarn or jute if you have it on hand. Have a look at the tutorial. You won't believe how easy these are to make. I think a bunch of them hanging from strings in a group would be very cute for Easter decorations or maybe some hanging from the chandelier over the dining room table. That's it for now.. I hope you all have enjoyed this Easter craft round-up. Maybe I've inspired you to make one or maybe a few...... Happy Easter! 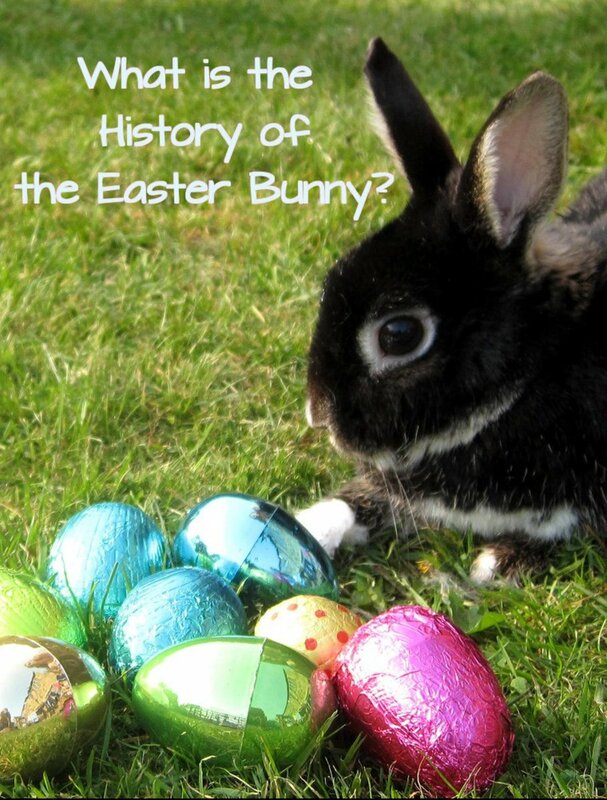 What is the History of the Easter Bunny? Oh I bet both your little boys had tons of fun hunting for Easter eggs! My little one did, even though it had been raining... it stopped for a while just long enough for him to hunt eggs :) I tried to go to the link to read your question and it wasn't there, it said sorry but this question is currently being reviewed by our moderators. I have no idea why in the world they would be having to review your question. I don't understand HP sometimes. Anyway, I'll keep checking back and I'm so happy that my hubs inspire you!!! I am actually working on some candles made from egg shells. I'm going to post the tutorial as soon as I am done with them. Happy Easter! Hi Jamie - here's the question I created for people to post pics of their crafty success stories, especially ones inspired by your great roundups! I still have a lot plastic eggs to decorate...and maybe a hub or blog post about my son's first easter egg hunt!? Thanks for the inspiration as usual! There are some really cute ideas in here. I'm not very crafty, but I know my daughter will love doing some of these crafts. 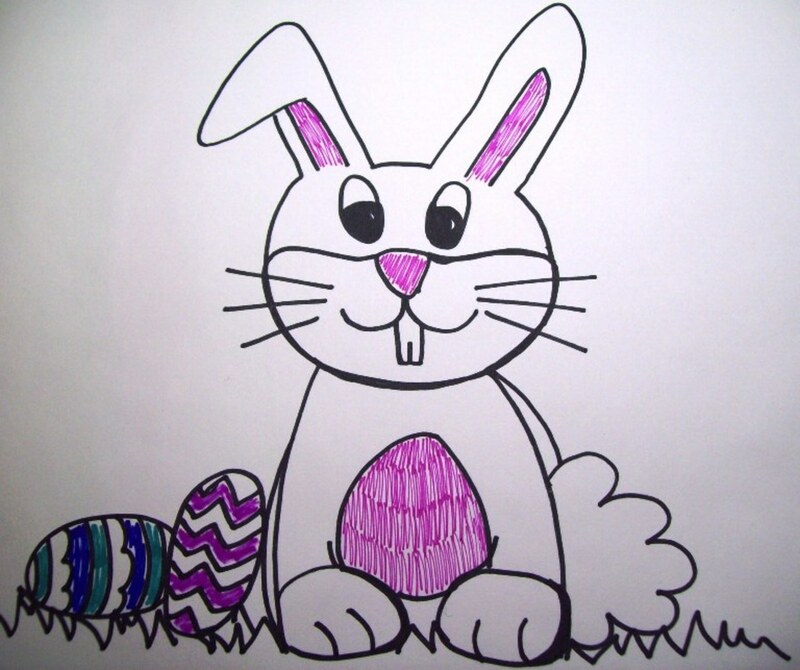 Thanks for all of the wonderful Easter craft ideas! Great ideas! I especially love the terra cotta Easter baskets. I'm going to pin this to my craft board. All of the crafts are really cute and all the designs i saw are pretty and good for easter crafts! Well bye! I got my dollar store plastic eggs! Now time to decorate with my little guy. I'll email you pics...I'm always so inspired by your hubs! Thank you, Cindy! I'm very happy that you like it and will be putting it in your calender! I can't believe that Easter is already around the corner.. where does the time go?! Wow! Now this is a hub! There are so many great ideas here! This was a lot of work and put together so beautifully! I will be including this one in my April calendar I am working on! What great ideas - excellent work, thank you for this lovely hub and voting up. This is so cute! It must have taken so long to gather all this information. Really great hub! Voted up and shared! You are welcome, Amanda..you did a great job.. they are so cute! Thanks so much for sharing my bunnies! Wow, you have made a wonderful hub. I like all the beautiful pictures you have posted here. 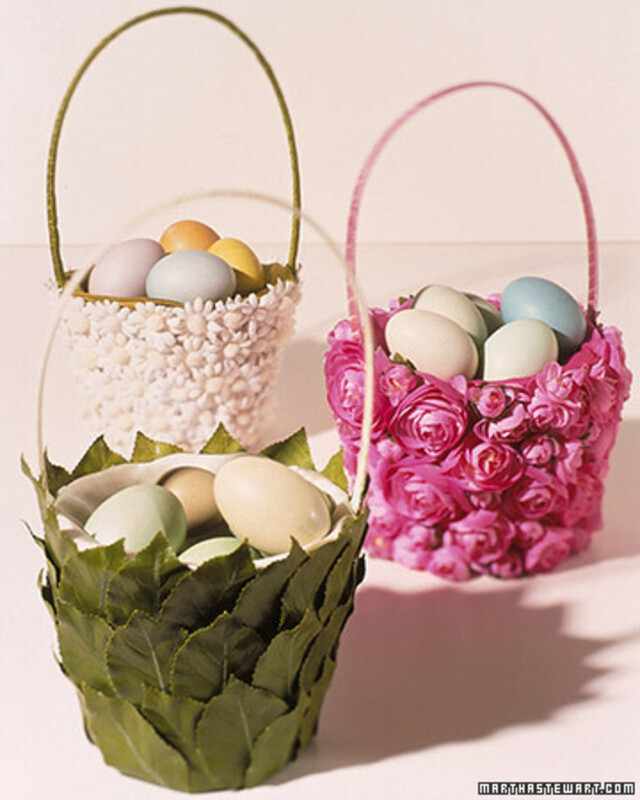 I like the terra cotta easter baskets best, really cute, beautiful and impressive. 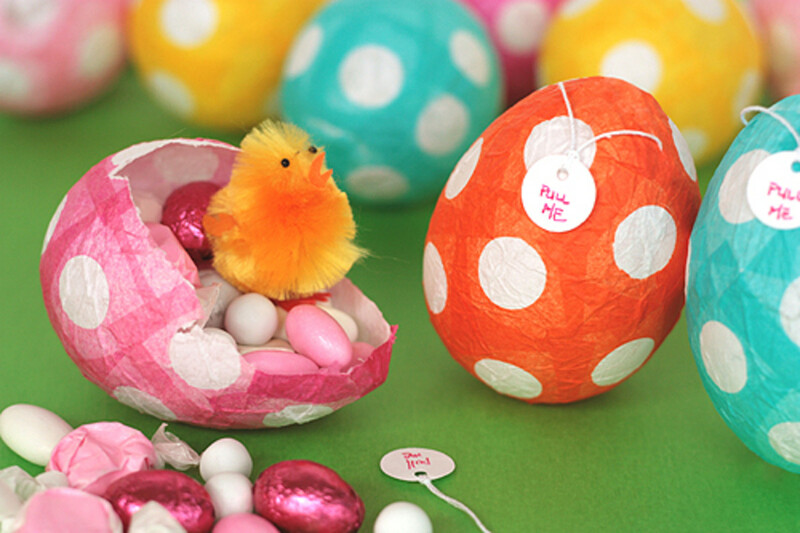 Thanks for sharing all these cute Easter crafts with us. Voted up! Awesome round up as always Jamie! All of these ideas are adorable, and so many of them are so easy. I'll definitely be sharing this.